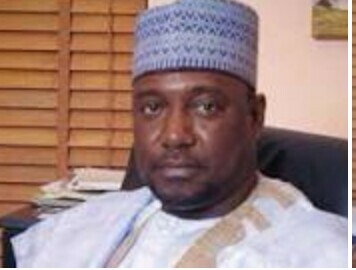 Niger State Governor, Alhaji Abubakar Sani Bello has called on Nigerians at home and abroad to rally round President Muhammadu Buhari on the reforms and steps taken by the administration to build a new Nigeria. Governor Sani Bello made the call at the Nigerian Young Professionals Summit at Grand Hyatt Hotel, New York, USA, while speaking on the theme: ‘‘X-raying our Current Economic Challenges as a Nation and Foreign Policy, Prospects and Solutions’’. A statement signed by Press Secretary to the Governor, Jibrin Baba Ndace and made available to Gobroadsheet on Wednesday quoted the Governor as saying ,President Muhammadu Buhari was committed to building a new Nigeria, but insisted that he cannot do it alone. The governor expressed optimism on the future of Nigeria and advised that it was time for youth to stake their claim in the future of the country through support for government policies and programme. “Let me reiterate that the best opportunity we have as a nation to regain our past glory and to put the nation back on the path of honour is to support the President Muhammadu Buhari administration. Let the change we yearn for be seen in our lives. “Let the change begin with us”. “As people interested in the future of this country, we must rally round and support the efforts of the Federal Government in crushing corruption in all facets and entrench good governance, building strong institutions for sustainable development and progress of our nation”. Governor Sani Bello said his belief in the innovative ability of the youth spurred him to include youth empowerment as one of the cardinal priorities of his administration, adding that the state is creating opportunities for youth in various sectors such agriculture, entrepreneurship skills, sports, among others. Other speakers at the summit all agreed on the need for all Nigerians to come together to fix the country. One of the issues raised was need for Nigerians at home and abroad to look beyond government at federal, state and local levels; and rather leverage on technology in building a new Nigeria. Speakers at the event include Prof. Pat Utomi, Founder/CEO Centre for Value in Leadership (CVL), Dr. Kingsley Muoghalu, former deputy governor, Central Bank of Nigeria, young professionals, among others.